What are merger and acquisitions? Looking to learn more about mergers and acquisitions? This mergers and acquisitions definition is a great way to get started. The term refers to the restructuring than can take place in corporate finance. A merger is when individual companies are brought together to form a newer, larger company, and an acquisition is when one company buys another company. This kind of corporate behaviour is often newsworthy and can form the basis of the fortune of the company for many decades to come. These deals can be worth millions of pounds and can be the greatest part of the leading CEO’s entire career. Where have you heard of mergers and acquisitions? Mergers and acquisitions (also referred to as M&A) often make the news and this is how they most often come to our attention, unless of course we are affiliated in some way with the companies in question. Mergers and acquisitions began in the latter part of the 19th century in the United States, with a phenomenon called the Great Merger Movement. This consisted of smaller firms with hardly any market share consolidating with other similar companies to create huge, powerful establishments that went on to monopolize their market. The largest merger to date is the 1999 purchase of German firm Mannesmann by the UK’s Vodafone Group for $202bn. The graph below details the industry and value of M&A deals in 2016. What is merger? What is acquisition? What is consolidation and what is a tender offer? There are many different parts and different phrases you’ll come across when researching mergers and acquisitions – we’ll answer some of your questions and clear up confusion about that here. For example, mergers and acquisitions are not exactly the same thing. There are many similarities between them but some key differences that you are bound to come across. Here are some brief definitions of transactions to help break it down. When a merger takes place, the two firms’ board of directors convene and approve the union and then go on to seek approval from their respective shareholders. After the merger has taken place, the acquired company no longer exists and becomes part of the acquiring company. For example, in 1999 the Vodaphone Group purchased AirTouch Communications and now it is encompassed by the Vodaphone Group. In a basic acquisition, the company who is acquiring attains the dominant stake in the acquired firm, even though the firm doesn't restructure and both companies preserve their names. When two companies merge to create a new company, this is known as a consolidation. Stockholders of both companies must obtain approval of the consolidation and after it's approved they both gain common equity shares in the new firm. In 1998, Citicorp and Travellers Insurance Group combined in consolidation and we now have Citigroup. A tender offer happens when one firm attempts to buy the outstanding stock of another firm at a named price. The company who would be acquiring relates the offer directly to the other company’s shareholders, ignoring both management executives and the board of directors. What is an acquisition of assets? In a simple case of acquisition of assets, one company will acquire the other’s assets. The company that seeks out the assets in question must get shareholder approval before the assets can formally be acquired. This procedure is typical of a bankruptcy case and once all appropriate assets have been acquired, the liquidation process may begin. This form of acquisition is also known as a Management Led Buyout (MBO) and it's when the managers, or executives, of a company buy a controlling stake, which leads to the company becoming private. Commonly the executives will team up with a financier/former corporate officers to aid the funding of a transaction, although they are financed with a disproportionate amount of debt and must gain the majority shareholder approval before the acquisition can go ahead. 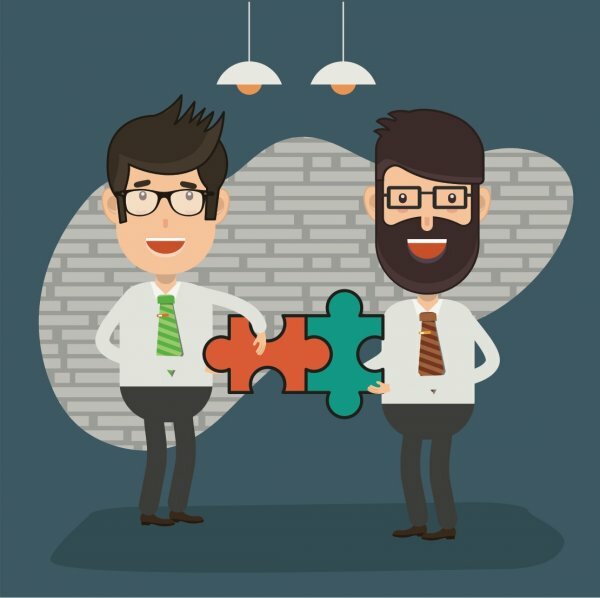 The main difference between an acquisition and a merger is that a merger is the joining of two companies to create a new one and an acquisition refers to the buying of one company’s assets from another. Legally, a merger must have both companies involved consolidate into a new establishment with entirely new ownership and new management configuration, ideally with parties from each firm. An acquisition occurs when one firm assumes all viable management choices for the other. The easiest way to work out the difference is whether the change is friendly or not. A merger would be considered friendly and an acquisition hostile. 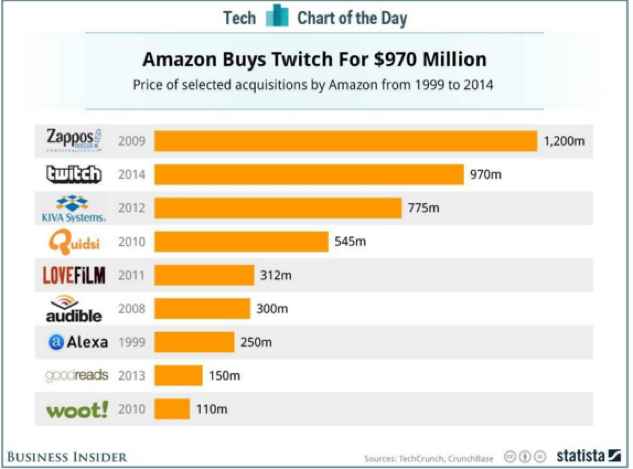 The graph below looks at the companies which Amazon has acquired since 1999. Consolidation mergers. This when a merger occurs, and a totally new company is formed, with both companies being bought and combined. Purchase mergers are when one company is bought by another. The purchase is taxable and is made through a type of debt instrument or cash. This type of merger is often preferred by acquiring companies as it can often provide them with a tax benefit. It can sometimes seem rather odd when certain companies decide to merge, however there is one common goal with all mergers and acquisitions and that is to create an alliance that increases the value of the unified companies in a way that neither company could do on their own. The success of the merger or acquisition in question depends on well these two entities work together. By merging, the companies hope to create a synergy that can improve their revenue and help save costs. A company may wish to merge or acquire to simply reap the benefits that come with growth or they may wish to pre-empt the competition. However, this synergy may only exist inside those fuelling the merger or acquisition. If there’s no enhanced value, the company executives, CEO or investment bankers may create a false image that there is. Eventually the market will see through this and will reprimand the company by assigning it a discounted share price. Since the late 2000s, mergers and acquisitions have been constant in the financial industry. This is because many companies were unable to survive as they were after the financial crisis of 2007-2008 and were acquired by competitors. There are industries that are prone to this sort of activity, such as healthcare and technology. Healthcare is such a vast field and many small or new businesses find that they are unable to find their feet within the rapidly changing landscape or they lack the financial capital to keep ahead of changes. Technology is another enormous, fast paced and highly competitive industry that sees many smaller companies team up with industry heavy hitters as it's easier than competing and there are large amounts of money being received. Our glossary has a lot more information on different sorts of mergers and acquisitions and the stock market in general, for example the public stock market and different aspects of strategic management. If you want to really get into the depths of this subject, then Robert F. Bruners’ highly regarded book “Applied Mergers and Acquisitions” is worth taking a look at.